A Philly cheesesteak for every occasion. You probably know that Philadelphia is famous for its cheesesteaks, but you might not know about these restaurants’ creative take on the classic dish. Here are the best Philly cheesesteak spinoffs for those times when Pat’s and Geno’s don’t sound quite right. Zama goes even a step further with their modified Philly Cheese Steak. Converting the classic into a sushi roll, the chefs at Zama combine Wagyu steak with provolone and a spicy mayo sauce. They wrap it all up with Bibb lettuce and red pepper soy paper. Dipping it into the accompanying horseradish aioli adds an extra kick. Instead of using the traditional hoagie, Sampan stuffs steak, Provolone cheese, shallots, and spicy Sriracha sauce inside a dumpling. Sadly, this Asian take on the Philly cheesesteak isn’t available on the happy hour menu. Make sure you go during regular dinner hours — these dumplings are not to be missed. PYT is famous for their insane burgers, and this one takes the cake. Imagine all of your unhealthy favorites in one incredible sandwich and you have this creation. 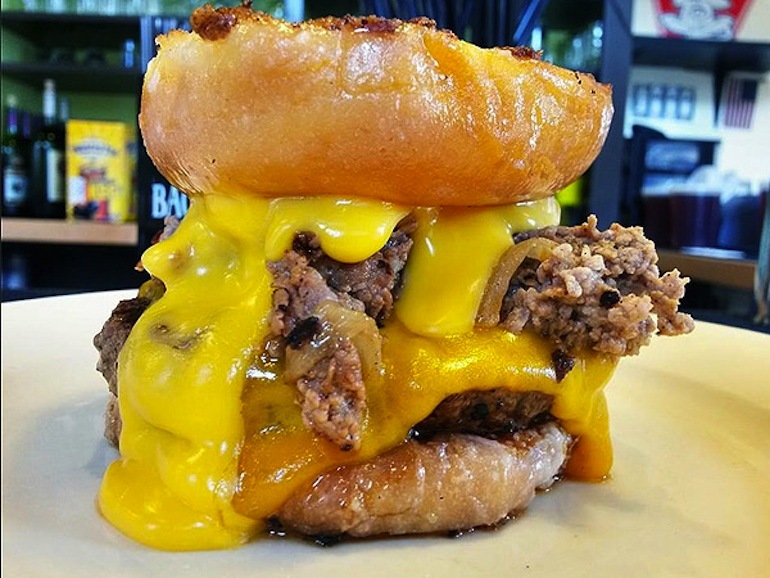 Using grilled glazed doughnuts as the bun, PYT adds a beef burger covered in melted Cheddar cheese, fried onions, and, of course, Cheez Whiz. This truly is not for the faint of heart. 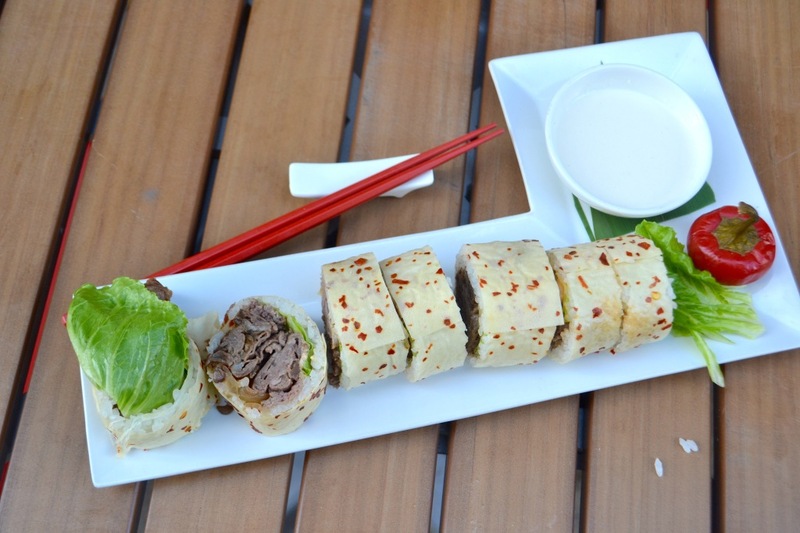 Closer to campus, Rx the Farmacy offers their Philly Cheese Steak in spring roll form. 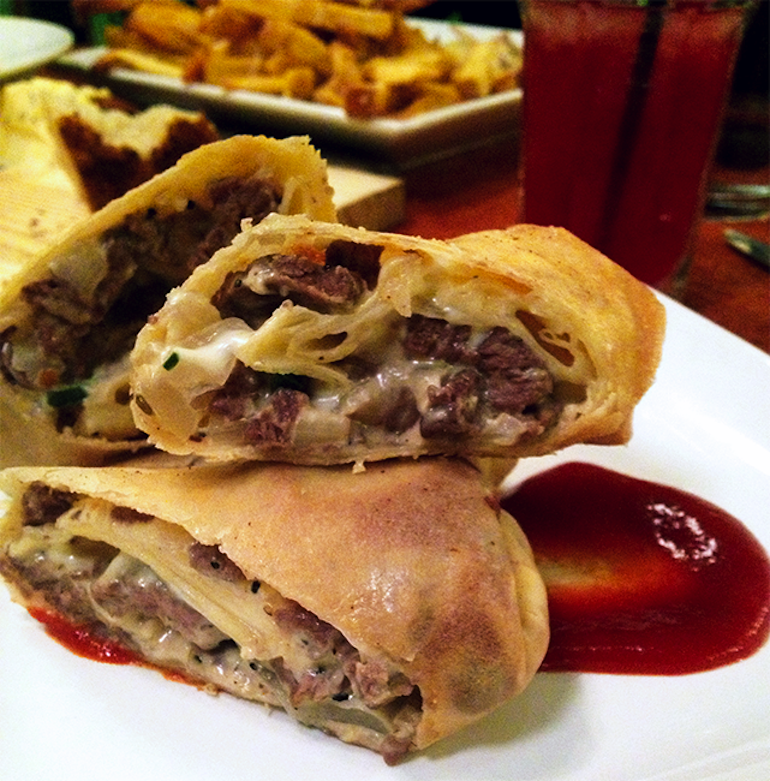 They wrap steak, caramelized onion, sharp American cheese, and spicy ketchup in a crunchy pastry shell. It’s like a cheese steak but fried…does it get any better? Now, even vegans can enjoy Philly’s best. Blackbird Pizzeria replaces the usual steak with seared seitan seasoned with rosemary and garlic and adds grilled onions, green peppers, and vegan whiz. Mimicking the original, the sandwich is served on an artisan hoagie roll.